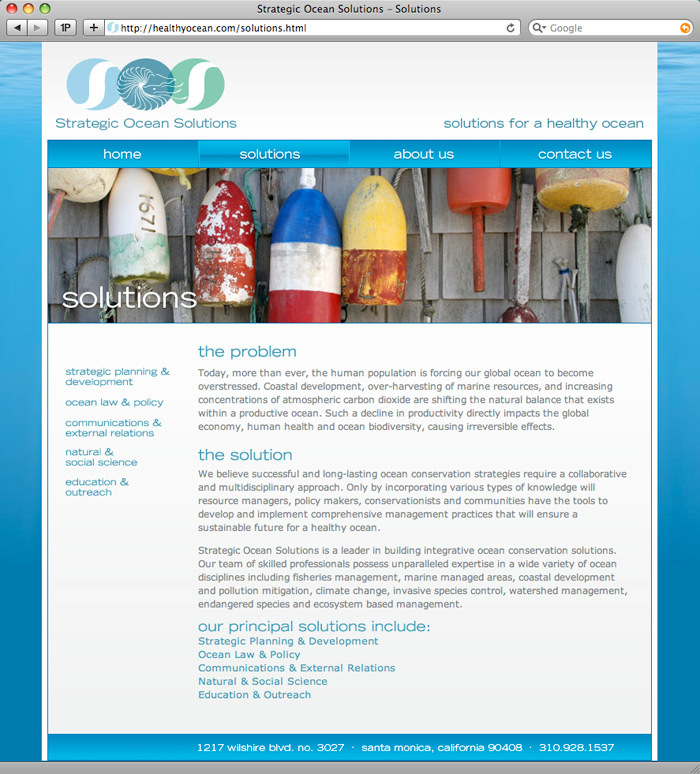 Strategic Ocean Solutions wanted a logo that was really unique, and that expressed their passion for the ocean in a creative and unconventional way. Using the colors of the ocean, stylized motifs of waves and a nautilus, we joined concepts of the sea with the idea of coming together, symbolized by the three overlapping circles. 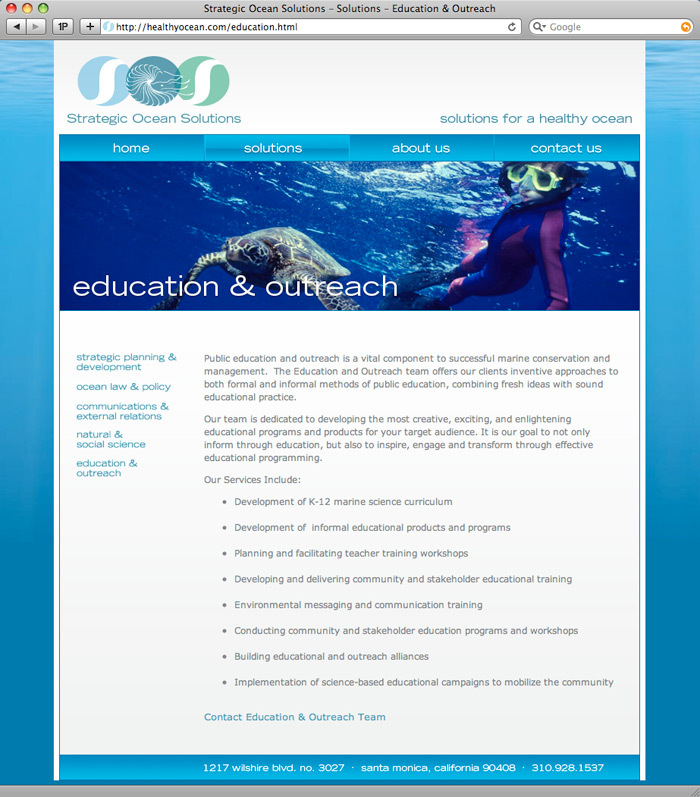 We like to think that their logo represents what they do – bringing constituents together to find solutions that work for the good of each, while protecting marine environments. Strategic Ocean Solutions is a full-service consulting firm specializing in global ocean management solutions to create innovative initiatives that support the conservation and sustainable use of marine resources around the world. 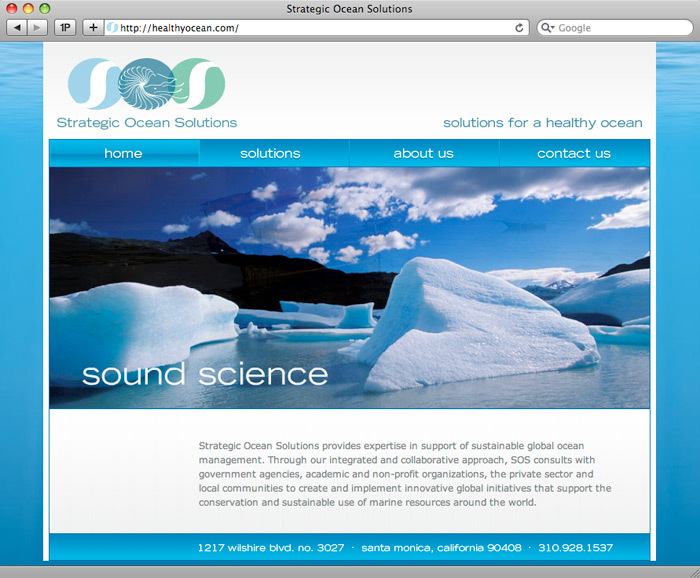 WackyPuppy developed their logo, branding, custom website and blog. 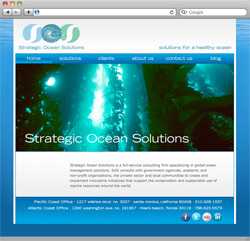 For their website, SOS asked for us to keep costs low, while providing a unique and beautiful site that reflects their love of ocean environments and its creatures, all on a very tight budget. 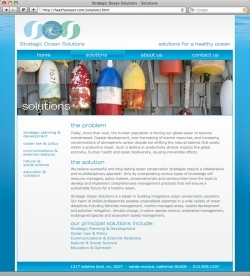 The completely custom site is coded in HTML/CSS, integrating a WordPress blog and social media.